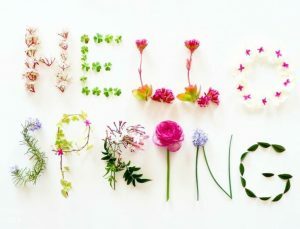 It’s Spring and time to refresh, rejuvenate, and renew in many ways. But, don’t forget about your oral health. Use these Dental tips from the experts. Many of the tips in this article are easy and they contribute to your overall health. So, check it out and Spring Into Action! Replace old or worn toothbrushes. If your toothbrush or toothbrush head is more than three months old, it’s time to get a new one. Other signs for replacement include worn or frayed bristles. If it looks a little used and abused, your toothbrush is probably not getting in all of your teeth’s nooks and crannies for proper cleaning. But you don’t have to throw it out just yet – a used toothbrush is perfect for cleaning tight spots around the house! Check the expiration date on your mouthwash. Most mouthwash has a shelf life which should be indicated on the bottle. Using mouthwash past the expiration date can affect the taste and its effectiveness, so make sure yours is still in its prime. Replenish your floss supply. You should be using 18 inches of floss every time you clean your teeth. If you’re flossing daily as recommended, that’s roughly 45 feet of floss a month! Schedule a dentist appointment. You’re already thinking about cleaning, and now you’re thinking about your oral health. Why not combine the two and schedule your regular dental appointment if it’s not already on the calendar? Seeing your dentist regularly helps him or her spot problems before they become bigger issues – and require more expensive fixes. Plus, there’s nothing like that clean mouth feeling you experience after a professional brushing and flossing. Give us a call at McPherson Dental 406-365-1221 to schedule your appointment.